The Indiana State Board of Accounts released the final audit of the city of Gary’s 2017 finances to Mayor Karen Freeman-Wilson, including a trail of the Fire Department’s Emergency Medical Services account Fund 224. 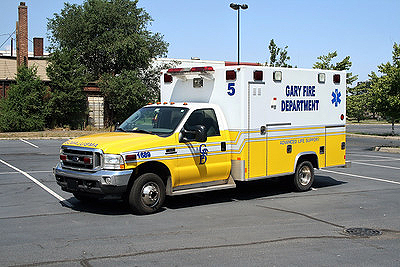 Fund 224 gets monies from emergency ambulance services provided by the Gary Fire Department. The mayor has faced nagging questions and claims of mismanagement from constituents and fellow public officials since spring 2018 when unauthorized spendings from the fund were uncovered. City Councilwoman LaVetta Sparks-Wade found that, since 2015, the city had dipped into Fund 224 to the tune of $4.8 million without getting approval from the city council. Mayor Freeman-Wilson maintained that all spendings from the fund went for city expenses and ordered the state audit. In the interim, the mayor fired deputy city controller Michele Roby, a 19-year finance department employee for improperly interpreting city policy. Mayor Freeman-Wilson said she wasn’t aware the finance department was regularly transferring funds from Fund 224 to pay city employees and other city expenses. The mayor also cut short a consulting contract with the former controller, Celita Green, to act as an advisor to the new controller who replaced Green in February. An analysis of city spending by the accounting firm Whittaker & Associates found that Fund 224 had actually paid $8.3 million in city expenses since 2015, but $131,000 was unaccounted for. “The audit confirmed that all tax dollars have been expended for valid city expenses. No money was misappropriated,” the mayor said. The state audit determined it was allowable for the city to use a portion of the EMS proceeds for general fund expenses, but cited the lack of internal controls and late account reconciliations, and spending from the Emergency Medical Services account outside of the perimeters of a Council-approved ordinance. In late October, the fired deputy controller threatened the city with a lawsuit claiming she was illegally terminated. Roby’s attorney Darnail Lyles said the city has 90 days to respond to the tort claim notice. The mayor acknowledged the need to adhere to common accounting practices, although city officials disagree with the State Board of Account’s interpretation of the ordinance detailing how receipts to the EMS fund should be deposited. Depositing ambulance receipts into both Fund 224 and into the general fund would free the administration from seeking city council approval.